This classic was released for a.o. MSX, Spectrum and Commdore64. And it rocked! 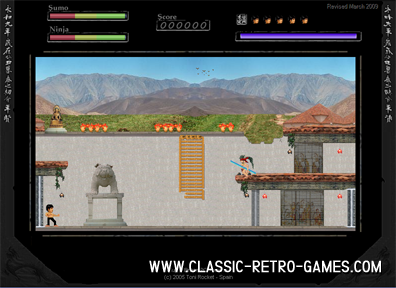 Now the classic Bruce Lee has been remade for Windows as Super Bruce Lee II! Currently rated: 3.4 / 5 stars by 11 gamers.